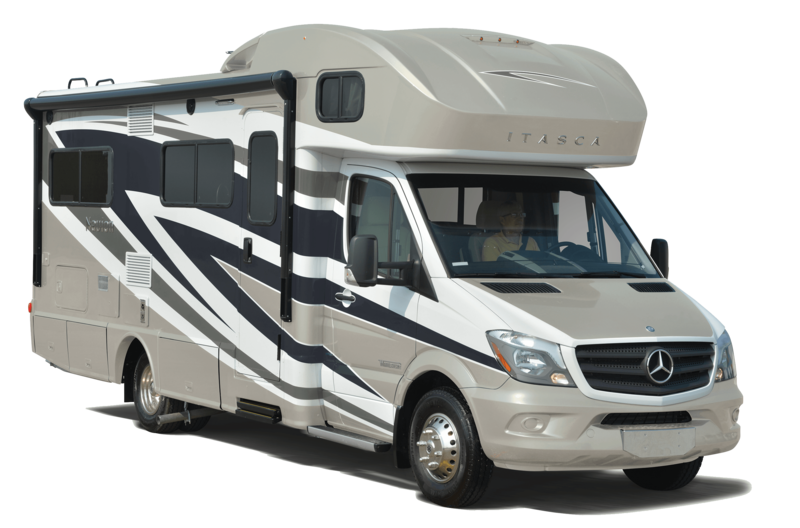 Enjoy the freedom and glory of the open road in the Itasca Navion. Built on the iconic and award-winning Mercedes-Benz Sprinter Chassis, Navion boasts some of the most high-quality and luxurious features in the class C market place. Navion features amenities like Primera swivel cab seats, available bunkover cab, rearview monitoring system, available Mobileye Collision avoidance system, and powered patio awning with LED lighting just to name a few.